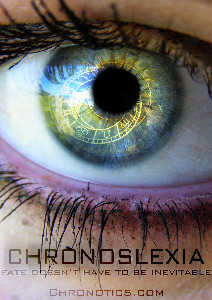 Chronoslexia: new British indie sf movie in the works. Also: Nazis on the Moon are go! What if in your everyday life you experienced glimpses of your future, and for moments relived your past? Talking about a childhood pet could send you back to the times you had with it – meeting a potential partner could throw you forward to your eventual breakup. How do you live a life knowing what’s around the corner? This condition is called Chronoslexia – and our movie seeks to ask those questions. Sarah suffers from Chronoslexia, and when offered a cure, she jumps at the chance to take it. The solution may very well be worse than the condition itself – but what if the future doesn’t have to play out like she experiences? What if fate doesn’t have to be inevitable? It’s an interesting if well-worn premise; one can only hope that the independent nature of the project means they haven’t felt the need to cave in to the crap Hollywood clichés that tend to hobble or maim high-concept science fiction films (“Wow – it turns out that this is how God wanted it to happen all along!”). Speaking of independent movies, Iron Sky – the Nazis-on-the-Moon project from the people who put together the low-budget Trek spoof Star Wreck – has rustled up 90% of its US$8.5 million budget through various participatory offerings and crowdfunding methods [via TechDirt]. With a premise that good (I mean, come on, Nazis on the friggin’ Moon – even a cinema cynic like me would struggle to resist that hook), it’ll be a shame if it ends up sucking, but even if it does, it’ll have served a higher purpose: namely to have demonstrated that crowdfunding can work for big projects like making a movie. If the film’s any good, I’ll consider it a bonus.